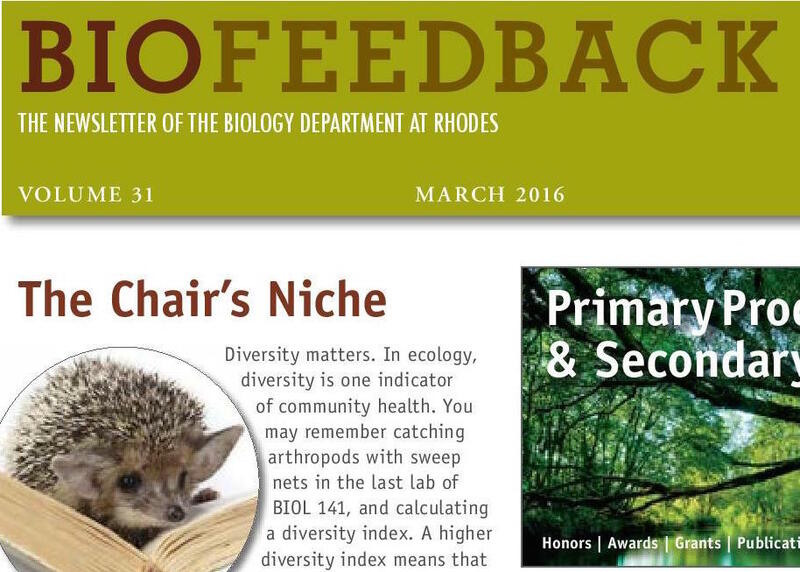 BIOFEEDBACK is the semiannual newsletter of the Department of Biology and is published prior to registration each semester. The purpose of BIOFEEDBACK is to provide an important and timely vehicle for the transfer of information concerning BOTH faculty and students of the Biology Department. Any notices or information that you wish to include in BIOFEEDBACK should be submitted to Dr. Carolyn Jaslow at cjaslow@rhodes.edu.